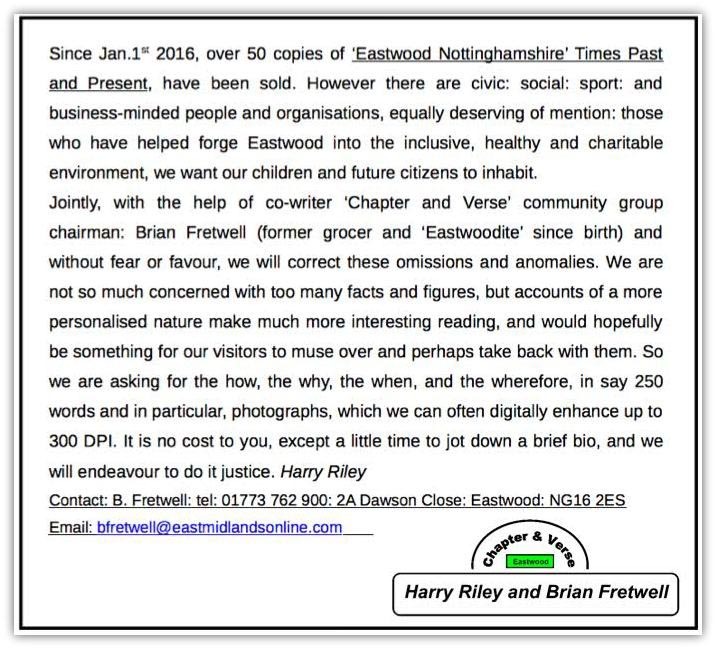 It's June 2016 and Brian Fretwell has now sold over 100 copies locally of Eastwood Nottinghamshire, past and present, and they are also available for worldwide distribution: in paperback and for Kindle via Amazon uk : facebook: Harry Riley Nottingham. 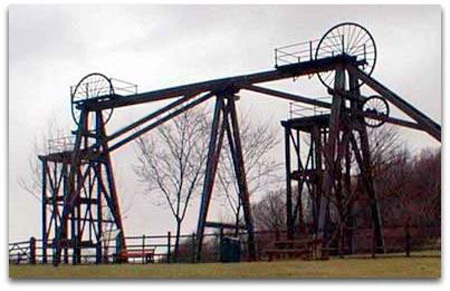 Spurred on by this success Brian Fretwell and I have decided to produce vol. 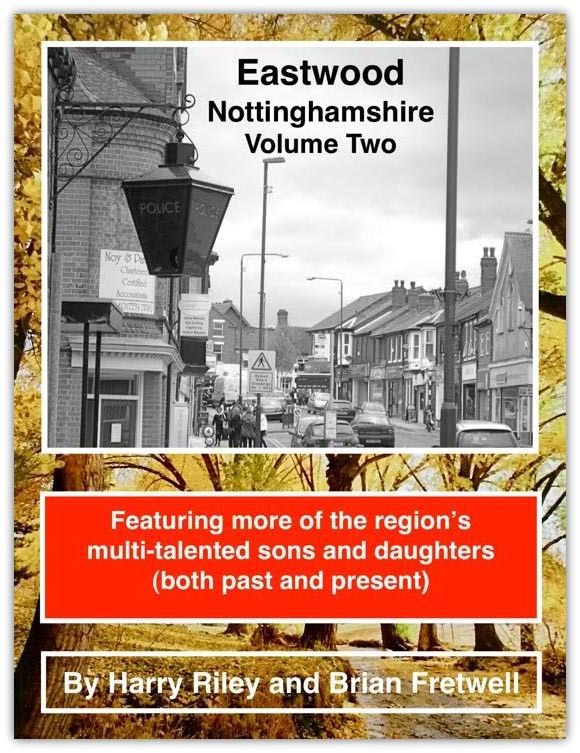 2: and we have many new stories from local people: businesses: churches: councillors: community groups: schools and their teachers, and Eastwood sporting stars, so many in fact that we will not get them all into vol 2: by our cut off date of 1st Sept 2016. 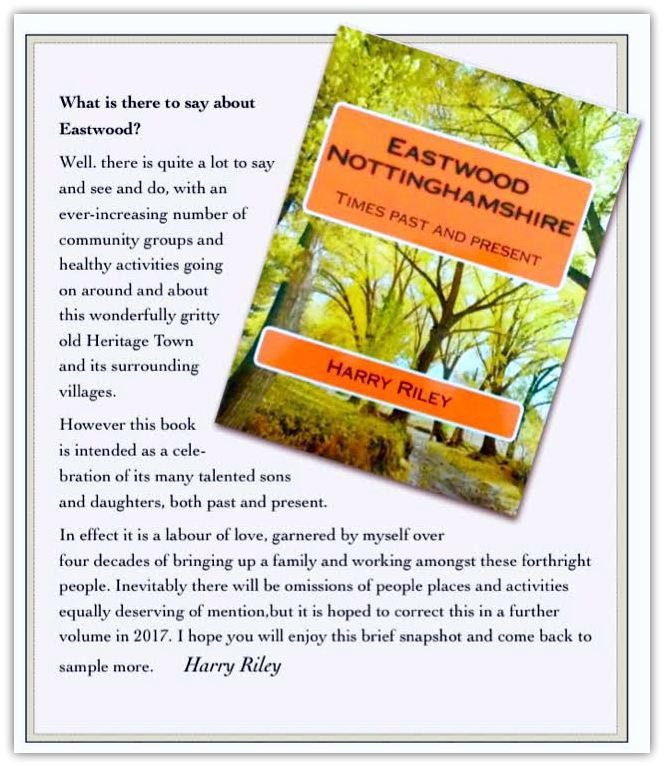 Let's make sure our next generation of 'Eastwooders' know and understand a little more of the local history and of the people Churches,schools and businesses that have helped and inspired their towns, villages and districts to punch well above their weight in National and World affairs, I say World, because Eastwood is a world heritage town and birthplace of one of the true giants of English literature: David Herbert Lawrence.